In winter, dry air leads to dryness of our skin and hair. The cold winds, harsh sun rays and cold temperature make your skin look dull, dry and dark. The women and men often struggle with winter skin problems. Nivea is a German brand that is used by almost every Indian. It keeps your skin supple and soft in the cold winters. This is the oldest and popular cold cream brands in India. It has a very pleasant fragrance that is trusted by all. This is the oldest and trusted brand that has been present in the Indian market form a long period of time. It is a renowned brand that keeps your skin soft and moisturized. It protects your skin from dry weather. It is an international US- based brand that is owned by Hindustan Unilever Ltd. It makes your skin soft and supple and protects your skin from harsh winters. It is made from glycerine, sunflower seed oil and mineral oil. This is one of the oldest and renowned winter creams. It is been used by many decades. It was recently acquired by ITC ltd. The creams can be used on feet and hands. This is a trusted, safe and reliable brand. It is a popular skin and cosmetic care brand. This brand was acquired by Hindustan Unilever Ltd. The cream has Lakme fruit moisture that contains moisturizer and cold cream to keep your skin glowing and soft. This cold cream also has the sun protection that protects your skin from harmful rays. Cold cream is the most popular product in the Himalayan product range. The cold cream is made up of ingredients such as winter cherry, aloe Vera, and Ashwagandha. This is a fragrant cold cream that is meant for delicate skin. It prevents your skin from cracking and dryness in winters. It manufactures natural and herbal products. This is one of the leaders in the cold cream category. Dabur offers Dabur Gulabari cold cream. The cold cream is made from natural products such as glycerine, rose, saffron, turmeric and kesar. It can be used for all skin types. This is a very trusted product which protects your skin from dryness in winter. It maintains skin’s moisture and protects your skin against damaging elements. It gives the rose like radiance. It is a popular cosmetics and skin care brand in India. It is manufactured by a Kolkata based company that contains Kesar Malai. The natural properties of Kesar Malai are combined with Aloe Vera that helps to combat skin dryness. It comes with 5 power formula that nourishes your skin. It is a non-greasy that provides double fairness in winter. It is the top- selling cold cream. It will keep your skin glowing and moisturized in winters. The cream is meant for all skin types. This is the most affordable cold creams. It has a creamy texture and made from natural ingredients. It keeps your skin hydrated, soft and supple for a long period of time. It is made from beeswax and aloe Vera. 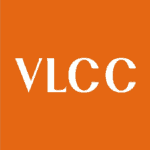 VLCC is a popular cosmetic brand. The company offers cold cream by the name of VLCC skin defence Liquorice cold cream. Enriched with rose petals with liquorice extracts for preventing skin from roughness and dryness in winter. It protects skin from harmful rays of Sun. It repairs fragile and dry skin. It contains various active ingredients such as grape seed extract, rose petals, Aloe Vera, Saffron, olive oil, Vitamin E, and Jojoba oil. 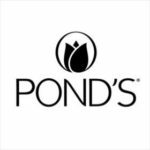 It is another leading brand that manufactures a large variety of cosmetics and skin care products. The cold cream is chemical free and contains natural ingredients such as Jojoba oil, Aloe Vera, grape extracts and Vitamin E. This cream is light and keep your skin moisturized. In winters, the air is chilly and crisp. So, you are required to take special care of your skin. The dry weather pulls out all the moisture from your skin leading to dryness. Also, skin is the most sensitive, delicate and thin part of your body. The winter months leads to loss of moisture. Replenish your skin with the best brand of cold cream.